Q. When should I contact Briggs Landscape Construction, Inc. for consultation? A. If you are building a home, you should contact BLC, Inc. well before the house is built. 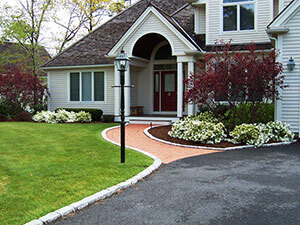 Homeowners typically contact an architect for plans of their home, but rarely do they consult with a landscape contractor before their home is built. Crucial details such as the placement of the house, plantings schemes and driveway layout should be thought out well in advance of construction of the home. If you already own a home and would like to add to the landscape, remove overgrown plantings or are contemplating a new outdoor patio or driveway, please call us to set up an appointment through this process. 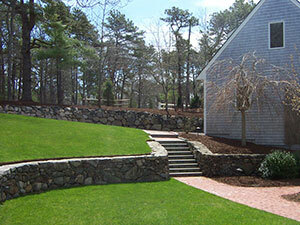 Q. I know what I want my landscape to look like, do I really need a landscape plan? A. Yes, the landscape plan will put your ideas on paper so they can be discussed well in advance of construction project thus eliminating costly “on the fly” change orders once the project begins. 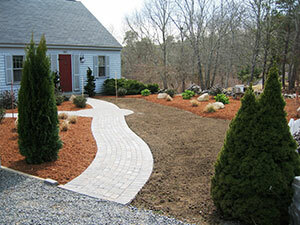 The plan will also help set your landscape budget and provide an approximate schedule for completion. 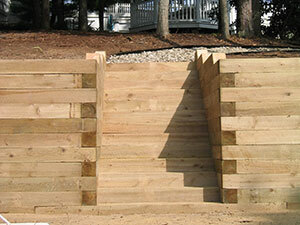 If there are other contractors (pool, fencing, septic, etc.) involved in your project they can all be given a copy of the plan so that we all are on the same page. Q. Is there a fee for a landscaping estimate? A. No, it is our pleasure to meet with you on your property to discuss your landscape needs with you. It is part of our job! Q. Is a weekly mowing & maintenance service only for the wealthy? A. No. you may be surprised how inexpensive our services really are. These days most households are two income homes with little or no time to perform landscaping on there own. Keeping your property professionally maintained adds to the overall value of you home. In other words, money well spent! Q. How will I benefit from an automatic sprinkler system? A. Since hand watering is done at irregular intervals your lawn may be getting too much or not enough water to produce that plush look that you are after. An automatic sprinkler system can be adjusted to provide the optimum amount of water for your specific lawn giving you the look that you are after without the daunting task of moving your hoses every 15-20 minutes. Also, with the proper controller you may be able to save some of that valuable water that you have been wasting.